You may have heard of the pseudo holiday Christmas in July. Well for hockey fans, July 1st is indeed just that, as that's when the annual free agency signing period in the NHL takes place. This year was considered to be a down year as far as unrestricted free agents go, but there were still plenty of big name players on the move. Let's recap some of the bigger deals done during this year's Free Agent Frenzy. Two of the biggest moves that took place weren't signings, but were multi player trades. The first big deal made saw the Stanley Cup Champion Chicago Blackhawks send forward Brandon Saad to Columbus as part of a 7 player deal. Saad and forward Alex Broadhurst and defenseman Michael Paliotta were sent to the Blue Jackets for forward Artem Anisimov, Corey Tropp, Jeremy Morin, and Marko Dano. With Chicago up against the salary cap, and Saad a restricted free agent who's price tag was going to be too high for the Blackhawks had another team made an offer, decided to move the 22 year old forward. While Saad is the centerpiece of the trade and definitely makes Columbus a better team while adding to their solid, young core of players, the Blackhawks did get decent return for him. Anisimov has size and could fill Chicago's need for a 2nd line center, while Dano is a promising 20 year old rookie who looked good last season. Morin returns to Chicago after being traded to Columbus last season, and he and Tropp are expected to be depth players who could contend for 4th line roles. The Blackhawks also received a 2016 4th round draft pick in the trade. Both Broadhurst and Paliotta are 22 year old prospects that have only played a combined 1 game in the NHL. The other big trade saw the Pittsburgh Penguins acquire forward Phil Kessel from Toronto in a 6 player trade. The Penguins got Kessel along with defenseman Tim Erixon and forward Tyler Biggs as a well as a 2016 2nd round draft pick in exchange for forwards Kasperi Kapanen and Nick Spaling, as well as defenseman Scott Harrington, and Pittsburgh's 1st and 3rd round picks in next years draft. 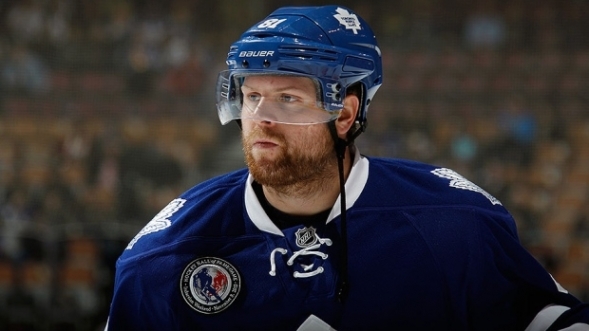 Kessel has been durable and has been Toronto's best player since joining the Maple Leafs in the 2009/2010 season. Kessel is 4th in goals and 12th in points amongst all NHL players during his tenure in Toronto. The return for the Maple Leafs is more of a look to the future. Kapanen was Pittsburgh's first round draft pick in 2014. Harrington saw his frist NHL action for Pittsburgh last season. Both should have a chance to make the Maple Leafs roster this season. Spaling played various roles for Pittsburgh last year, but adds bottom six forward depth for Toronto and is best fit at center. Biggs was Toronto's 1st round draft pick in 2011while Erixon was Calgary's 1st round pick in 2009. Pittsburgh will be his 5th team in 7 years. As for the actual free agent signings, there were several big name players who will be wearing a different jersey come Fall. Matt Belesky, who had a career year in Anaheim last season, signed a 5 year contract with Boston. Defenseman Paul Martin moved from Pittsburgh to San Jose, signing a 4 year deal with the Sharks. Another top defenseman on the move was Andrej Sekera, who moved from Los Angeles to Edmonton on a 6 year contract with the Oilers. Sekera's signing is another move to bolster Edmonton's defense. Edmonton also signed forward Mark Letestu from Columbus to a 3 year deal. Detroit made 2 big moves by signing defenseman Mike Green from Washington to a 3 year contract and center Brad Richards from Chicago on a 1 year deal. Colorado was active as well, signing 3 year deals with defenseman Francois Beauchemin from Anaheim and forward Blake Comeau from Pittsburgh. Calgary made another big offseason move, signing Michael Frolik from Winnipeg to a 5 year contract. Toronto continued their roster revamping, signing forwards P.A. Parenteau (from Colorado) and Marc Arcobello (from Arizona) to 1 year contracts. The Leafs also brought back forward Daniel Winnik from Pittsburgh, and signed defenseman Matt Hunwick, both to 2 year contracts. In an effort to reach the salary cap floor, the Arizona Coyotes made a slew of moves. The Coyotes signed forward Antoine Vermette back from Chicago and defenseman Zbynek Michalek back from St, Louis, each on 2 year contracts. Brad Richardson was signed to a 3 year deal, coming over from Vancouver. Arizona also added forward Steve Downie from Pittsburgh and goaltender Anders Lindback from Buffalo on 1 year contracts. Washington made two moves of their own, one via free agency and the other by trade. The Capitals signed forward Justin Williams from Los Angeles with Williams agreeing to a 2 year contract. Washington then acquired forward T.J. Oshie from St. Louis for forward Troy Brouwer, goaltending prospect Pheonix Copley, and a 2016 3rd round draft pick. But even with all of the moves made so far, several big names remain on the market. Some of the top forwards left include Eric Fehr and Joel Ward, who each scored 19 goals last season with Washington. Shawn Matthias, who scored 18 goals for Vancouver last season, is still available. Other big name forwards left on the market include Sean Bergenheim, Chris Stewart, and Alexander Semin. The top remaining defensemen include Johnny Oduya , Lubomir Visnovsky, Marek Zidlicky, and Anton Volchenkov.